The Saints will take on the Hawks this Sunday afternoon at Marvel Stadium for this year's Blue Ribbon Cup. The Sandringham Zebras, flush with St Kilda-listed talent, will take on the Box Hill Hawks at 11.50am this Sunday prior to the crucial Round 4 clash. Ticket booths at Gates 3 & 5 open at 11am, while Gates 3, 4, 5 and 8 will open from 11.30am. 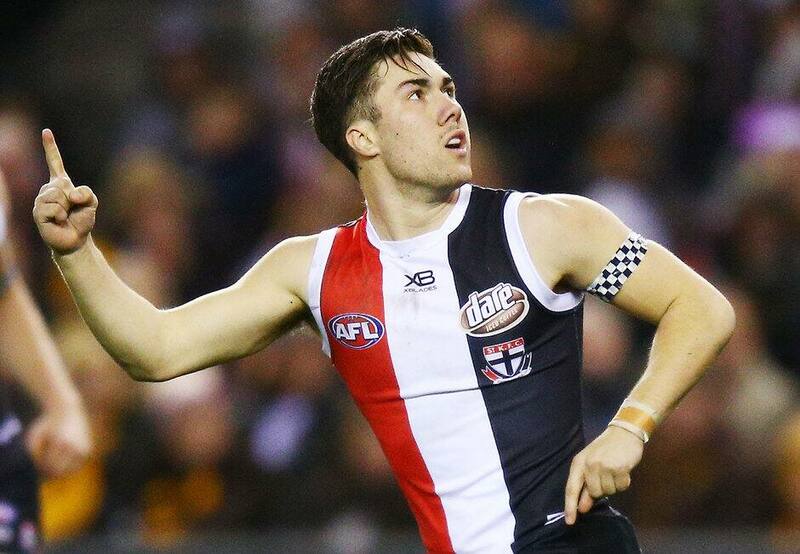 The match is due to be completed at 2.20pm, one hour before the scheduled start of the Saints v Hawks match. The Zebras' line-up will be stocked with young Saints, so it’s the perfect way to see all your Saints in action in one hit. They'll also be donning a special red, white and black clash jumper for the occasion. Due to the major disruptions across the metro train network, Saints fans – particularly along the Frankston line – are encouraged to meet at RSEA Park. You can park the car, grab a bite to eat and a drink at Moorabbin Social, then walk up to Moorabbin Station and jump on a bus straight to the game. There will be significant disruptions to metro train services from Rounds 1-6, with the use of replacement buses across the Pakenham, Cranbourne, Frankston, Sandringham, Alamein and Glen Waverley lines. Please allow additional time to make your way to the footy and check ptv.vic.gov.au ahead of time to ensure you don't miss a second of the action. Southern Cross Station is located adjacent to Marvel Stadium. It is a short walk across the Bourke Street pedestrian footbridge. For up to date public transport information in Victoria including timetables, service disruption information or ticketing, visit ptv.vic.gov.au or download the PTV App. Marvel Stadium can be easily accessed via either the Bourke St/Spencer St footbridge entrance or the La Trobe St entrance. Trams No. 11, 30, 31, 35, 48, 86 and 112 all stop adjacent to Marvel Stadium. Gameday parking is available at Marvel Stadium, with undercover car parks priced at $30.00. The car park can be accessed via Bourke Street; please note the Marvel Stadium Carpark has a maximum clearance of 2.10 metres. Our Merchandise and Memberships teams will be on-site outside Gate 5 at the Club Hub and inside Gates 5 and 7. Heat pressing on guernseys will also be available at Gate 5. Footballs will available to buy from all of the above mentioned locations for kick-to-kick post-game. All members will receive 10% off merchandise on game day. Get kitted up for the big game by heading to either Gate 6 or 8 to make a donation and receive your very own Blue Ribbon armband. It’s a great way to show your support for the Blue Ribbon Foundation and Victoria Police. There will be FREE Pepper Money drink bottles up for grabs ouside Gate 4, while stocks last*. Saints Say Thanks will be back in Round 4 at three-quarter time, so stay in your seats and you could be one of the lucky fans who walks away with a prize. Lastly, don't forget your footys, as kick-to-kick will also be happening on the ground after the game! St Kilda has introduced a dedicated Chill Out Zone at all Saints Home Games played at Marvel Stadium in 2019. The Chill Out Zone will give patrons the opportunity to remove themselves from sensory overload before returning to the event when they’re feeling comfortable to do so. There will be a Captain's Run on Saturday 13 April at RSEA Park, Moorabbin, beginning at 10am. Our Membership team will be ons site from 9am - 12pm to answer any enquiries about ticketing and to sign up any new members. Saints Locker will also be open for any fans looking to check out the latest Saints merch. For all purchases made over $20 from our Merchandise stall on the day, customers will be entered into the draw for their chance to win a signed 2019 Tim Membrey guernsey! TV: The match will be telecast live on Free-To-Air TV on the Seven Network from 3.00pm (AEDT), as well as through the AFL Live App. DIGITAL: You can also purchase a Digital Subscription for exclusive access to watch every Saints game live and in replay. APP: Follow online for LIVE scores, stats and audio via the Match Centre on the Saints App. Download here. MOORABBIN SOCIAL: Watch the game live at RSEA Park with friends. Follow Moorabbin Social on Facebook! *A maximum of one entry per person. Entrants must be 18 years or older and be attending St Kilda Football vs Hawthorn Match. View and full Terms and Conditions.